Treasurer Joseph M. Torsella is a successful civic leader who will bring integrity, energy, and vision to the office of Pennsylvania State Treasurer. A Democrat, Joe was the first declared candidate for the April 2016 primary election. Joe is the kind of commonsense problem-solver we need in public life. Because Treasury manages $100 billion in public funds and has pre-audit authority over every single check the Commonwealth issues, it’s an ideal platform for someone with Joe’s record of bringing efficiency, sound management, and innovation to the public sector, a theme of Joe’s career. A Record of Leadership and Service. From Philadelphia’s City Hall to the National Constitution Center to the halls of the United Nations, Joe has spent much of his career in public service, delivering impressive results even in challenging environments. Committed to Transparency and Integrity. Joe’s efforts brought unprecedented new transparency to United Nations operations, and he has already won praise for his proposals to bring new accountability to Pennsylvania. As PA’s fiscal watchdog, Joe will open the state’s books, empowering every citizen to act as auditor. Under Joe’s leadership, Treasury will set the bar nationally as a leader in integrity and transparency. Lifting the Fortunes of Low and Middle Income Families. Joe has a vision for Treasury as an engine for creating more prosperity for more Pennsylvanians. As America grapples with inequality and income disparities, Joe is preparing policies to help more Pennsylvania families improve their financial literacy and save for college, steps that can meaningfully change the economic lives of hard-working families. Proven Results for Taxpayers. As Deputy Mayor for Policy and Planning under Ed Rendell, Joe championed reforms that closed a $1.25 billion deficit without raising taxes and led to what the New York Times called “one of the most stunning turnarounds in recent urban history.” He will bring the same drive for efficiency and fiscally responsible management to Treasury. 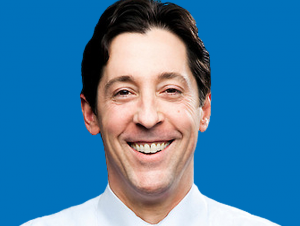 From serving as an U.S. Representative to the United Nations to leading the development of the sparkling new National Constitution Center so effectively that the Philadelphia Inquirer declared him “a modern-day founding father,” Joe Torsella has always valued the need for innovation and new ideas in public service. Prior to his service as an UN Ambassador, Joe served as Chairman of the Pennsylvania State Board of Education. In that role, Joe opened the board’s workings to the public – holding board meetings outside of Harrisburg for the first time in decades – and led the board to set forth an agenda around high school reform, teacher quality, healthy and safe schools, and college affordability. The Board’s hearings and proposals on making higher education more affordable won national notice and sparked legislative action in Pennsylvania. From 1997 to 2003, Joe was the founding President and CEO of the National Constitution Center in Philadelphia, a non-profit museum and education center dedicated to explaining and celebrating American ideas and ideals. As the driving force behind the concept, construction, and opening of the $200 million facility on Independence Mall, Joe led the Constitution Center to international acclaim, financial stability, and an unparalleled institutional reputation. He returned to the Constitution Center for a second term as CEO from 2006 to 2009, persuading President George H. W. Bush to join the Center as its Chairman, and working to establish the Center’s international program, including democracy education work in Afghanistan. Joe was asked to lead the National Constitution Center by then-Mayor Rendell. Raised in Berwick, PA, Joe graduated from Wyoming Seminary high school. After graduating with honors from the University of Pennsylvania, Joe studied at Oxford as a Rhodes Scholar. He lives with his wife, Carolyn P. Short, in Flourtown, Pennsylvania; they have four children.